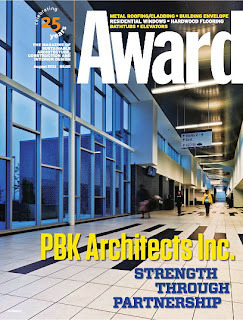 Award Magazine, the Magazine of Sustainable Architecture, Construction & Interior Design. 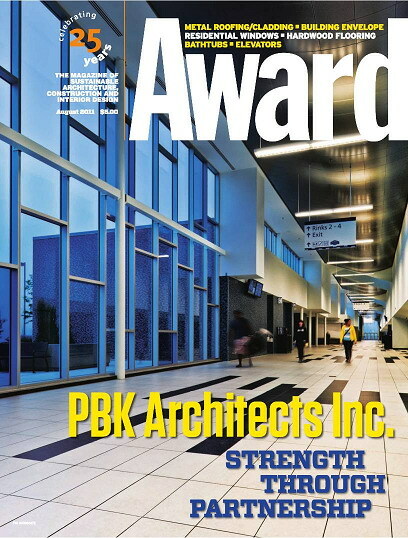 For more than 20 years, Award magazine has been the definitive source of news and information on the issues, trends, projects, innovations and intriguing people driving Canada’s dynamic building and design industries. The readership consists of architects, consulting engineers, specification writers, interior designers, landscape architects, general contractors and developers.